Over the past few years my husband and I have had the privilege of being involved in some volunteer work in East Africa and Myanmar. 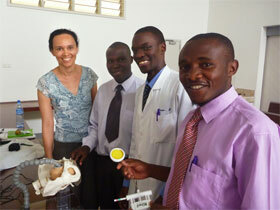 This has involved teaching and training local doctors in vacuum assisted deliveries. The use of vacuum assisted delivery assists in decreasing the caesarean section rates in these countries. The ongoing educational programs we offer assist the local doctors and midwives to provide a higher standard of care and safety for their patients. 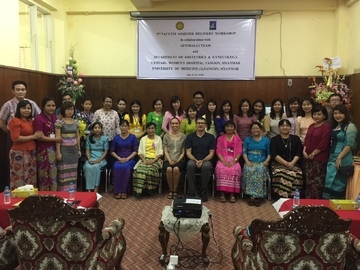 The volunteer work in vacuum assisted delivery workshops has been at the invitation of Professor Judith Goh. Our trips often coincide with the volunteer work of both Professor Judith Goh and Dr Hannah Krause who perform prolapse and fistula surgery in developing countries. Professor Goh is involved in the not-for-profit organisation HADA (Health and Development Aid Abroad – www.hada.org.au). 100% of the donations given to the Medical Training in Africa and Asia division of this organisation fund the operation costs for the patients that are treated. 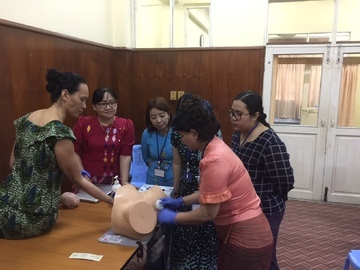 I have also been involved in colposcopy training for doctors and nurses in Vanuatu over the last several years. 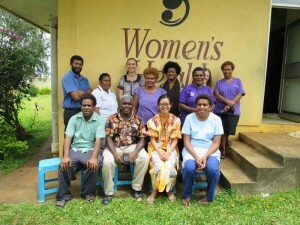 This has been at the invitation of Dr Margaret McAdam, the founder of the charity organisation Hope for Health Vanuatu (www.hopeforhealthvanuatu.com).